I didn't get to eat lobster as a kid. I remember my parents having it from time to time, but it seemed every time they did, it was TV dinners for me and my siblings. Yes, while they ate lobster, I had salisbury steak, and you know what? I was fine with that. 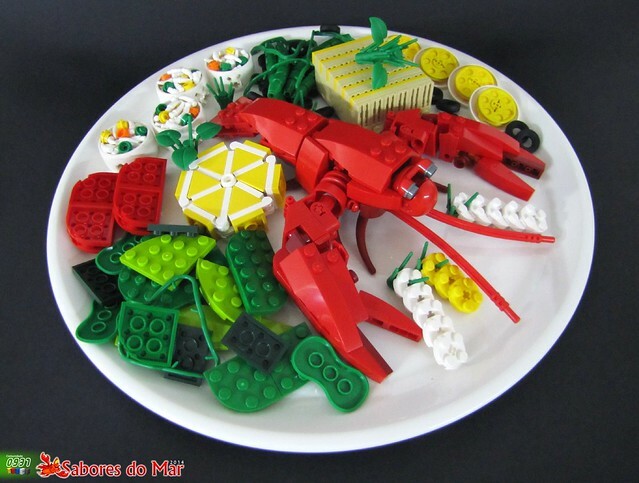 I'm an adult now though, and this MOC by F'Alves is making me hungry.